The best strings in the world!!! 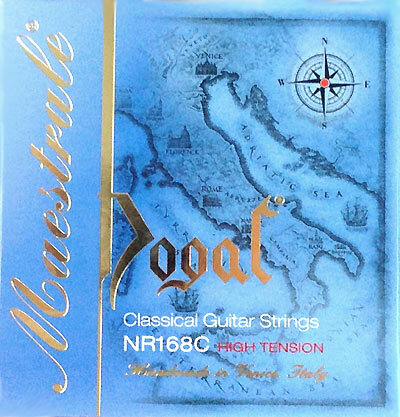 After search of the most optimum strings for my guitar (a red cedar and a black rosewood of Rio), I stopped on Dogal Maestrale HT. Exclusively net sounding of trebles and very natural "wooden" sounding of basses. I am very happy!!! This review applies to hard tension only. The best strings set I ever tried. Sofull of sound and rich of tones. THe basses are powerfull and still very balanced eith the new trebles set with atre tremendous. As superb string with tremendous sensitivity, potential for power, and tangible musicality. Unlike any other string I've played on.